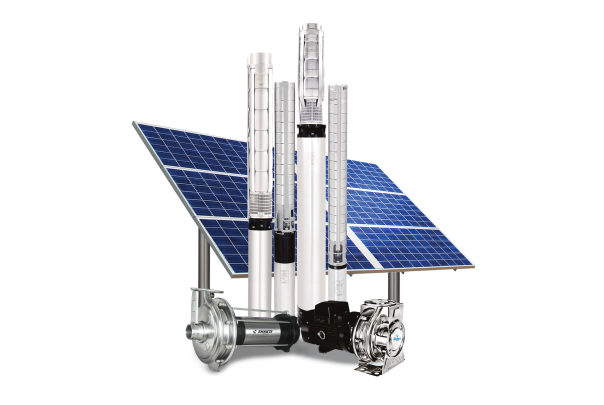 India's largest manufacturer and exporter of Solar Pumps. (MNRE), Govt. of India with the highest performance rating 1A. 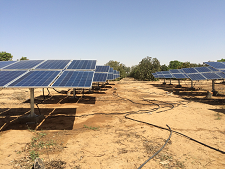 Shakti Pumps has always been a pioneer in state of art technology which has newly designed its Solar Pumps sets based on its signature fabricated technology for the best discharge and value for money. It has already been proven that Shakti Pumps has best discharge with high energy efficiency which gives 40%more discharge than its competitors and other ordinary pumps sets. It has been observed that due to frequent voltage fluctuations most of motors get burnt and maximum time they are lying at service centers. But, Shakti Solar generates constant and good quality of energy which enhances life of pumps up to 25 years. 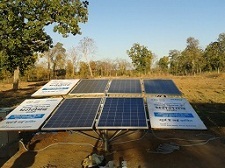 Other motors require high torque when it is operated by electricity, but Shakti's new solar technology doesn't require it and merely affects rotor which enhance pumps' life, whereas other electric operated pump's life becomes very less and not able to give half of the discharge of Shakti Solar pumps. 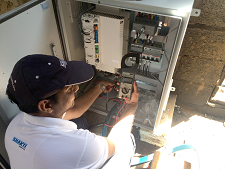 Shakti Pumps solar water pumping system complete installation video guide. Shakti Solar Pumps is an efficient, low-maintenance and economical option for industries, farming, water parks, swimming pools and agricultural applications. We have aimed and tried to make available our best quality products with latest technology at affordable price. So that everyone can enjoy the performance of our products within their reach. Shakti Solar Pumps are specially designed with latest technology which lowers the risk of damages and protects it from many unfavorable conditions. Shakti Solar panels are made up of tempered glasses which are durable and a crack in a tempered glass will not impede the solar cells from working properly.